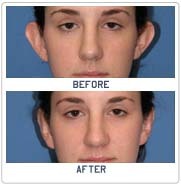 Surgery can also improve large or stretched earlobes, or lobes with large creases and wrinkles. Surgeons can even build new ears for those who were born without them or who lost them through injury.Sometimes, however, the correction can leave a scar that's worse than the original problem. 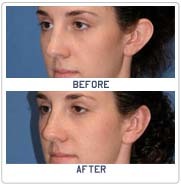 Ask your surgeon about the effectiveness of surgery for your specific case.